What Causes Cracks in Brick in Choctaw? There are a few key indicators that will tell you if you have a foundation problem. You don’t need to hire a local specialist in Choctaw or purchase any tools to find indications of failure. The key is to look around your home or office for a few basic signs. Searching for horizontal cracks in the foundation is the obvious first step. A horizontal crack is a sign of too much water pressure building up below the foundation. In Oklahoma, most foundations have a perimeter drain to transport sub-surface water away from the foundation. This ensures water does not build up below the foundation. However, it is possible for the drain to become blocked and cause water to build up in the soil, which blocks the water from moving away from the house and adds pressure to the foundation. If you sense you may have a blocked drain, contact us to assess and repair the foundation problem. Level Up Foundation Repair in Choctaw. 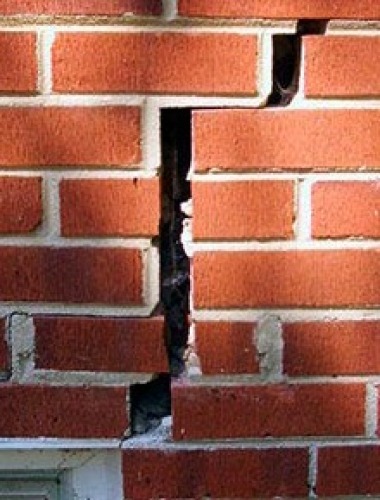 Cracks In Brick Foundation Repair Contractor in Choctaw, Oklahoma.